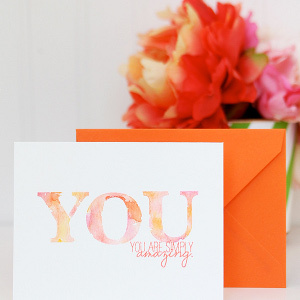 We’re adding tons of new handmade cards to our site, and these projects are simply stunning. Whether you’re looking for new ideas or old favorites, we have some exciting card making ideas listed below for your inspiration! You know you’re going to love these homemade greeting cards. From innovative stenciling techniques to fancy folds and also these adorable watermelon cards, these fresh new ideas will certainly inspire. Most of the new cards are great for any occasion, so start crafting now! Send a friendly hello to a loved one or use one of these cards for an upcoming birthday. The best handmade cards are those that can be tailored for any occasion. Don’t miss these tried-and-true favorites! 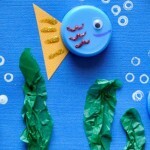 These card making ideas have all been popular in their day, and they continue to be well-received by readers of The Paper Post newsletter as well as site visitors to AllFreePaperCrafts.com! BONUS: enter our free giveaway! 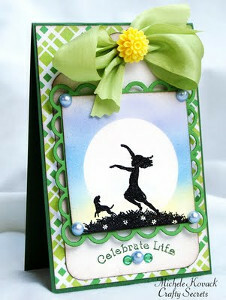 Enter to win these gorgeous Julie Nutting Cling Stamps and Color Bloom Sprays from Prima Marketing Inc! Add a touch of nostalgia to your next paper craft with paper dolls. These stamps are not to be missed! Enter here to win. Contest ends July 6th, 2014. When did you first start making your own handmade cards?